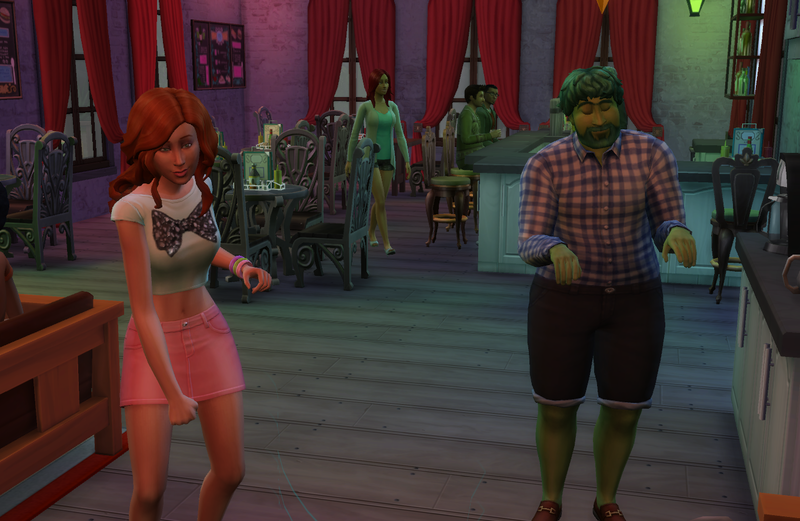 One of the hardest thing about the Sims 4 Legacy Challenge is the beginning. Your founder sim is utterly poor. 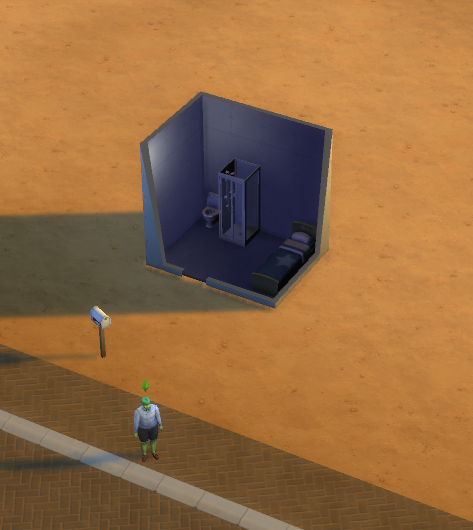 Papa Jollygreen, my founder sim, started his journey in a public toilet. Finding a lady who’d want to marry him, move into his public toilet and have his green child, would have been impossible in the real world. Thankfully sims aren’t as “picky”. 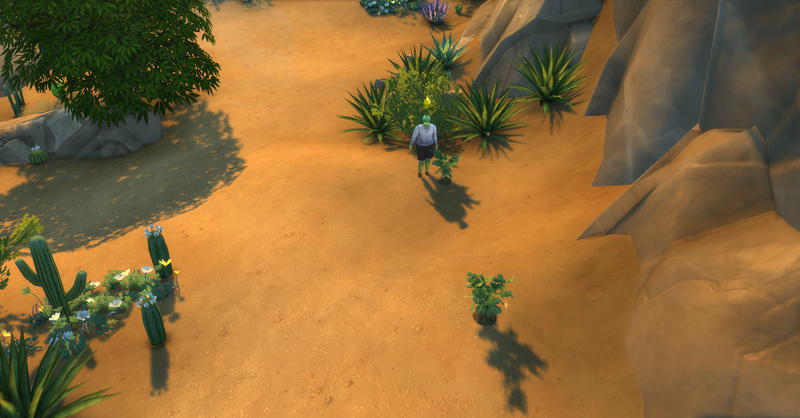 Papa, being green and handy, decided to pick herbs and stones in the neighbourhood, mostly at night after he came home from his day job as a live chat support agent. I’d heard that gardening could earn you well, so I set Papa out to plant a little garden of his own. Maybe he could even quit his job eventually. Picking herbs in the evening to sell for money. Papa also spent time scouting the bars for a nice wife. When your lineage depends on you finding a spouse, you have no time to waste. Having lifetime set to “normal” really means you have to be efficient. This meant checking out ladies was a matter of them not being too old and preferably having nice or neutral character traits. You don’t care what they look like. It took a while finding a suitable mate. Papa didn’t want to elope with an evil personality type. Nina, as seen below, despite being mean and a snob caught Papas attention. Papa revealing his nerd personality trait to Nina with an elaborate explanation of gaming strategies. And look who showed up the next day to visit! 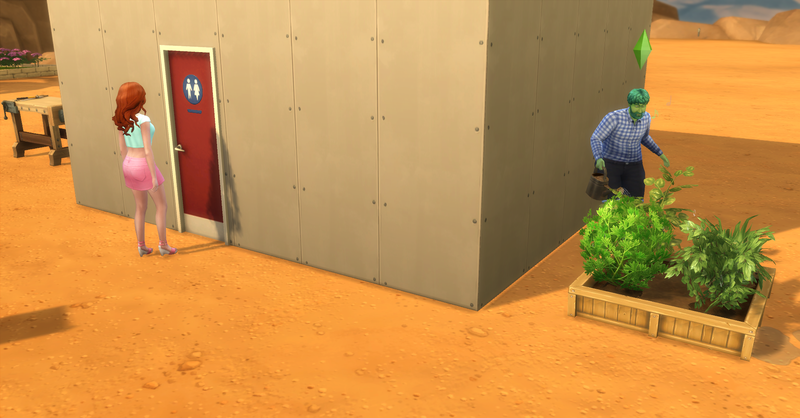 At this point in the challenge, I have grown very fond of my founding sim Papa. He’s just adorable! I didn’t like not being able to be more selective about his spouse, but if he liked her, I guess it was fine. Lesson learned: Find a mate asap, looks don’t matter, age does. 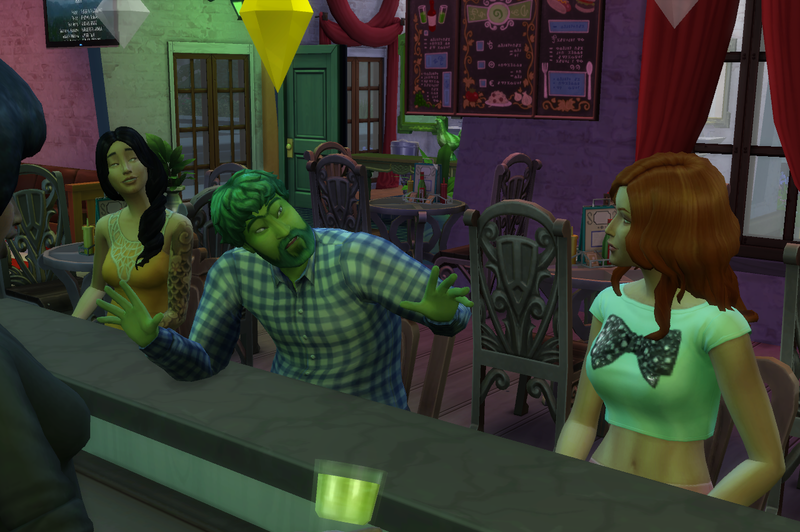 This entry was posted on September 21, 2015 by Ironyca in The Sims and tagged Computer Games, Generation 1, Papa Jollygreen, The Sims 4, The Sims 4 Legacy Challenge.